When utilizing a crane to transport materials into the 20th floor, a lot of pre-planning and communication is needed. To start, certified riggers and operators are needed. Next, a discussion is needed on what verbal signals should be used. In this case, 2-way radios were the form of communication. 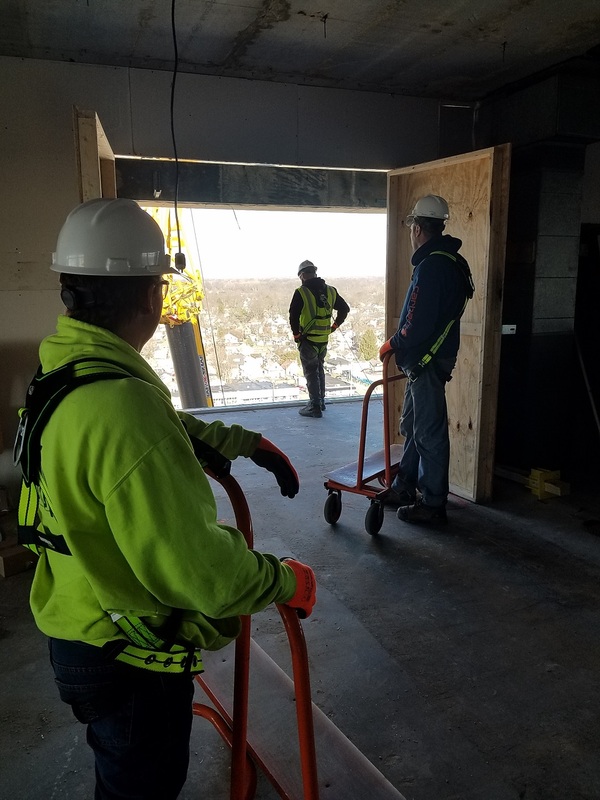 Lastly, the CRG crew pictured here at the City View site, maintained 100% fall protection inside the staging area where the materials would be lifted to. All materials were successfully transported with no injuries or accidents. REMINDER: Safety Resources will be holding an Open Enrollment Qualified Rigging & Signalpersons Course for experienced riggers on Tuesday, April 16, 2019. For course and enrollment information, please visit OPEN ENROLLMENT - 2019 QUALIFIED RIGGING & SIGNALPERSONS COURSE. If you haven’t already – sign up today! You don’t want to miss out! Safety and OSHA Training section! visit Safety Facts and Snacks.